The range of artists who will perform during the night is broad and it will include 'The Kitchen Band' - featuring the best of Irish traditional music and songs, 'Landless' - Ireland’s Top All-Women Acapella Quartet, 'Berlin Irish Dance Academy' - featuring the Jigs and Reels Dance Show, as well as a festival session, which is involving All Artists. 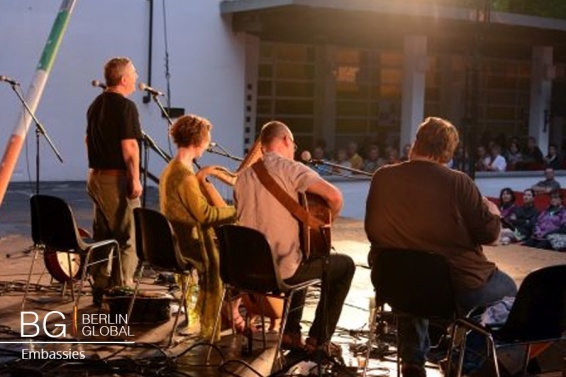 Also this year, Robbie Doyle, one of the most popular Irish folk artists resident in Germany, presenter and entertainer of the event, will bring to the stage with him some of his musician friends, in order to make a brilliant Irish music show. As mentioned before, “The Kitchen band” is also playing during the event, and it is culturally interesting also the fact that it took its name from the Irish tradition of playing music at night in the kitchen of a neighbor’s house. The trio of the band is composed of Sheena Vallely (concert flute), Noel Minogue (accordion) and Adam Costa (Fiddle) and they play together a repertoire of beautiful traditional Irish music. To conclude, it is important to remind the importance of these Irish Culture Events in Berlin, since they bring the Irish culture to Germany’s capital city. 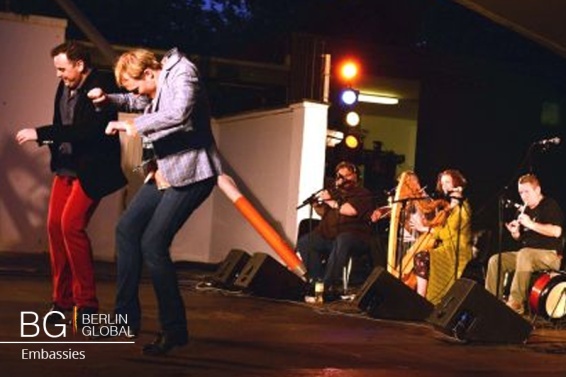 Whether people are experts, visitors or Irish culture lovers, and whether they are looking for sports, music or amusement, they are all invited to this event promoted by the Irish Embassy in Berlin. Tickets for the event are still available; the standard ticket cost €21 and the reduced one is €18.